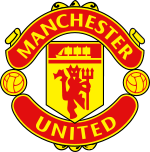 Manchester United FC: 1902 - . Division One/Premiership: 1975 - . European Cup/Champions League winners: 1967-68, 1998-99, 2007-08. European Cup-Winners' Cup winners: 1990-91. European Super Cup winners: 1991-92. Intercontinental Club Cup winners: 1999-2000. 1989-90, 1993-94, 1995-96, 1998-99, 2003-04. Most League appearances 758, Ryan Giggs, 1991 - .